Plush or plastic? If you're an Earthworm Jim fan or a Ratchet & Clank enthusiast, toy maker Mezco Toyz has something for you to consume later this year. For the LittleBigPlanet and Uncharted 3 fans, Mezco has something for you too. Mezco Toyz brought its upcoming toy line to San Diego Comic-Con this week, a preview of the collectible goodies that will hit this fall alongside Uncharted 3: Drake's Deception and Ratchet & Clank: All 4 One. 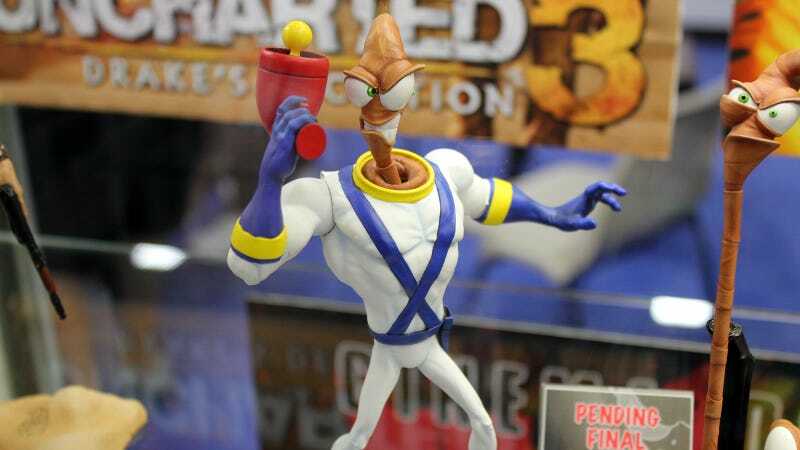 New Sackboys of all sculpts and sizes are also en route, as is that lovely looking Earthworm Jim toy. Check out some of Mezco's video game goods in the gallery above.